Legend of Chuck Norris - Ultimate Fan Website. : Happy Birthday Our Hero Chuck Norris!!! Happy Birthday Our Hero Chuck Norris!!! 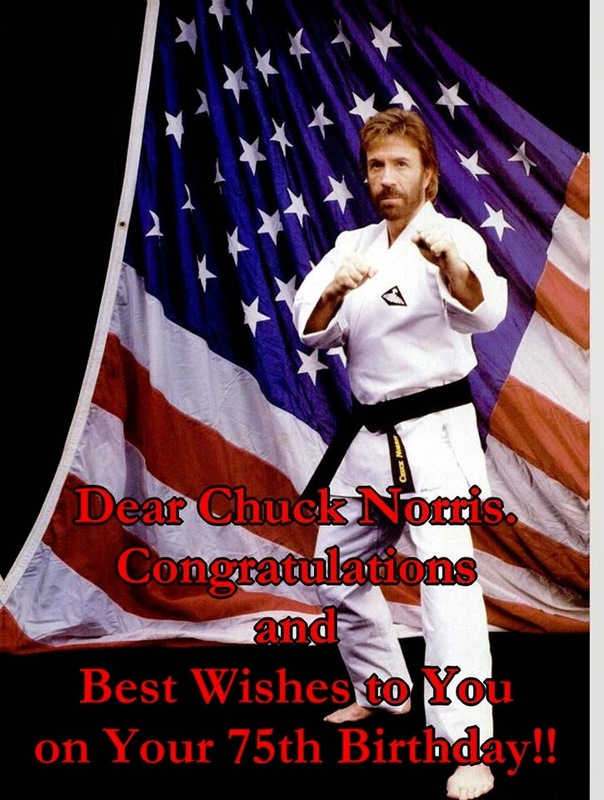 Dear Chuck Norris, Congratulations and Best Wishes to You on Your 75th Birthday! !